In the book of the prophet Isaiah there is judgment proclaimed upon Israel, but hope and promise for restoration. The prophet has proclaimed that Israel would be cut off because of sinful disobedience, a diseased tree cut down before it would fall down. But now Isaiah prophesies that the Lord God would provide for a new lineage from the old—a stump that would sprout and grow! And this shoot from the stump of Jesse would be inspired by the Spirit. 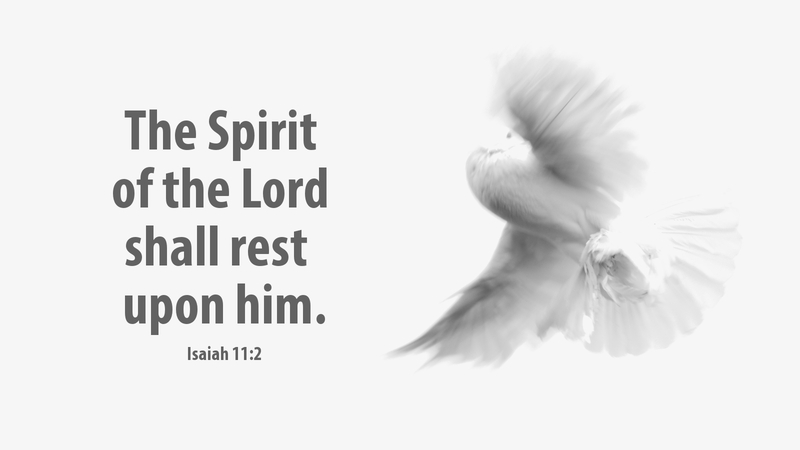 Indeed, the very Spirit of the Lord would rest upon him—the spirit of wisdom and understanding, the spirit of counsel and might, the spirit of knowledge and the fear of the Lord. Maybe you remember hearing these words spoken over the newly baptized, as we pray for the indwelling of the Holy Spirit. But we speak these words over the new Christian because they were first spoken over the Messiah, the Christ come to save His people! Our Savior is the one who has the Spirit of the Lord upon Him! Our Savior is the one who has the spirit of wisdom, understanding, counsel, might, knowledge and the fear of the Lord! Today, we step into the final week of Advent, and our preparations become more focused. May these last days of Advent be truly blessed by the Spirit of the Lord, that we may not be preoccupied by many things, but attend to the main thing—the birth of our Spirit-conceived Lord! Prayer: Almighty God, cleanse our hearts and minds as we journey through this final week of Advent—and keep our eyes focused on Jesus. Amen. Advent Action: Pray to the Holy Spirit today, asking that the Spirit will increase in you the gifts of wisdom, understanding, counsel, might, knowledge and fear of the Lord.